"The Steamboat Marathon is a unique combination of beautiful scenery and extraordinary people, which makes this race fun for everyone who participates,” says Paul Sachs, the Steamboat Marathon Race Director. "Runners from all over the country look forward to the Steamboat Marathon because it is still a relatively small race with a hometown feel and it’s a race where every runner counts." Runner&apos;s World chose the Steamboat Half to feature in it&apos;s Bucket List: 9 Destination Half Marathons. 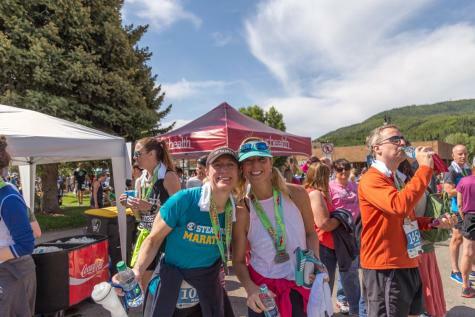 Registration for the 2019 Steamboat Marathon is now open! View our 2019 pricing below and start making plans to run in the Rockies this summer. There are no refunds or exchanges on race registrations. No exceptions. Upgrades and changes require the difference in fees paid prior to completion plus any fees. Please email marathon@steamboatchamber.com if you have any questions. Make it a weekend! Join us in Steamboat Springs for the marathon, half marathon or 10K and enjoy other activities during your stay. Dine on the river, soak in the hot springs, or check out Fish Creek Falls. Whether you&apos;re looking for things to do during your weekend in Steamboat or activities for the whole family, there&apos;s so much more to do than just the race.